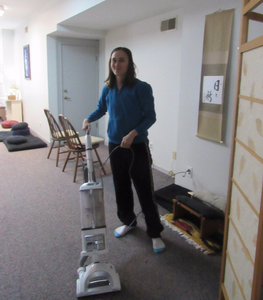 Work practice (“samu”) is an important element of Zen practice. We call it “Zen-within-activity.” While it can be said that sitting in zazen (meditation) is the central physical form of our practice (“Zen-within-stillness”), the larger objective of Zen practice is to integrate these two, so that the focus and discipline of sitting is brought into our everyday lives, which mostly consist of various activities. 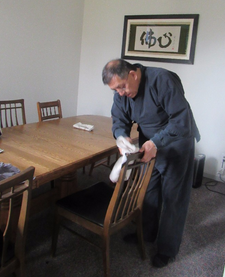 At the Confluence Zen Center, we have organized work periods twice a month: following lunch during our monthly one-day sittings and on the fourth Sunday of each month following the Sunday sutra service. The work we do at these times partly depends on the weather. 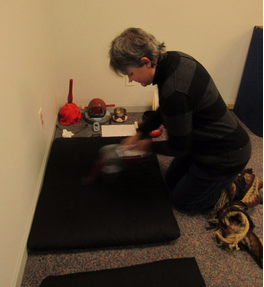 We always have work to do inside: vacuuming and cleaning the inside of the Center. From March through December, some of us work outside (weather permitting): tilling, weeding, and planting the gardens, sweeping leaves, and trimming bushes. At CZC we are fortunate to have at our present location a reasonable amount of physical work to do; real, honest work that needs to be done periodically, but not so much that it’s overwhelming for the number of people who practice with us. I think many people would rather not do physical work if they can avoid it. 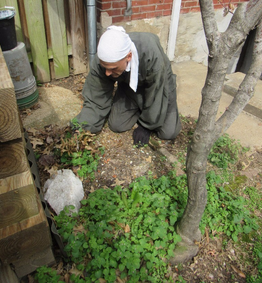 It’s not uncommon for people to think that zazen is more important than doing physical work. But it’s not like that. Zen practice allows us to totally focus on the job at hand (we generally do not speak while working) such that we can taste the joy and satisfaction of doing one thing completely. If you do join us to help with outside work, it would probably be helpful to bring appropriate work clothes, shoes, and gloves. On the fourth Sunday, we eat lunch together following the work period. Please join us to help keep CZC clean and beautiful! 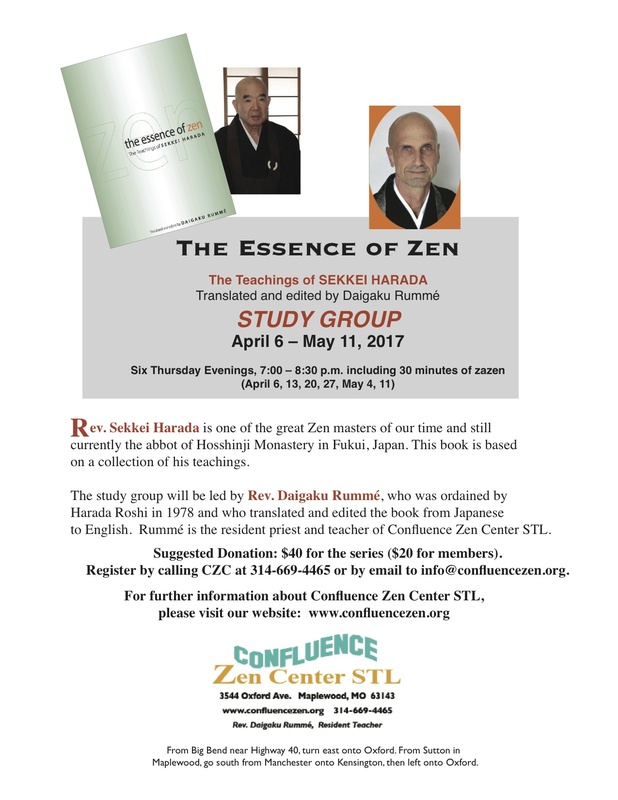 The Study Group continues on Thursday evening, April 6th for 6 weeks. See flyer above for details. Everyone is welcome to join. Books can be purchased at the class. Saturday, April 15th at 7:00 pm. 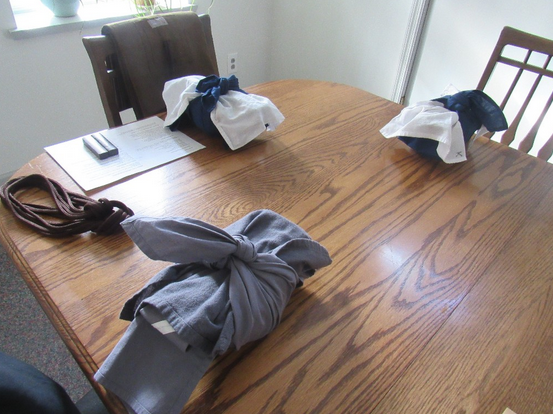 Sunday, April 9th is the next One Day Sitting. 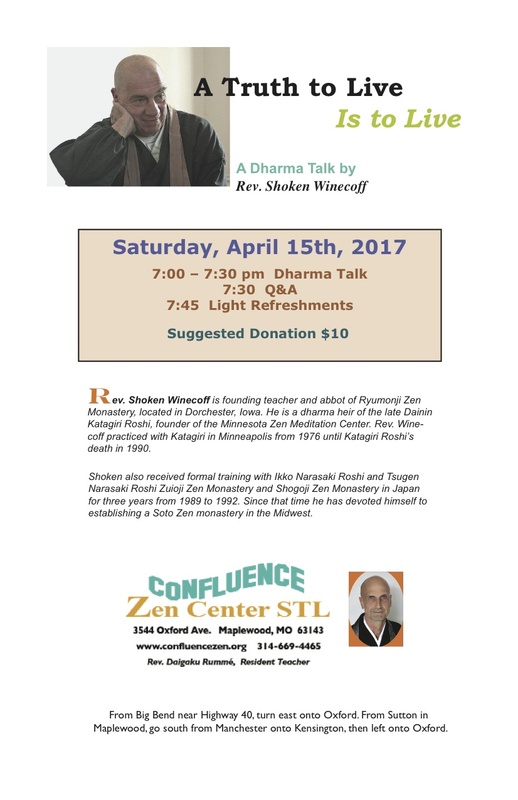 Please call 314-669-4465 or email confluencezen@gmail.com if you would like to register for the entire day. You may come for any sitting. Please arrive and depart quietly. Please see website for schedule. There will be no one day sitting in May. with some exceptions due to National Holidays. Next Beginner’s Night will be Monday, April 3rd from 6:30 to 8:00 pm. Note: If no One-Day Sitting is scheduled for this day, we will use the Fourth Sunday schedule, shown below.